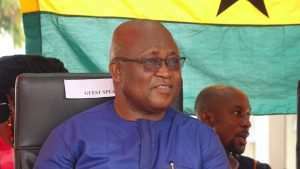 The Association of Ghana Industries (AGI) says it is worried about the increasing rate of graduate unemployment in the country. Amidst government's new and existing interventions to help curb the problem of graduate unemployment in the country, the majority of graduates coming out of various universities remain unemployed three to four years after graduating, a development the AGI describes as very alarming and unfortunate. According to the President of Association for Ghana Industries, Dr. Yaw Adu Gyamfi, government's lack of support for local industries and policies like the reduction in import values are making efforts of industries to help reduce graduate unemployment fruitless.